One year when fall came and there was a nip in the air, a stink bug and a ladybug landed more or less at the same time on a window of a house with a brand-new furnace in the basement. “I wouldn’t if I were you,” said the ladybug. 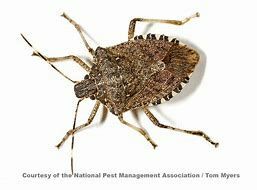 “What’s in a name?” quoth the stink bug, a saying he had picked up while hanging out in a summer stock theatre. “You’d better stay here and let me try first,” the ladybug said, as she demurely squeezed between the window sashes. The stink bug hesitated for a moment, decided his claim to the warmth of the house was just as good as hers, and followed her inside. Soon they were comfortable and cozy, and dozed off on either side of the window sill. 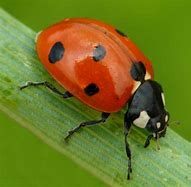 The woman of the house came along and, seeing the ladybug, extended a delicate finger to the insect and invited her to crawl upon it. 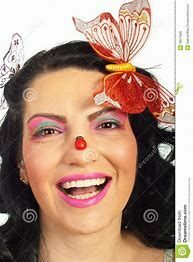 “You are such a cute little thing!” she gushed, and the ladybug flapped its red wings with their fashionable black spots in appreciation of the compliment. “You aren’t thinking of staying here for the winter, are you?” the woman said as she cocked her head and pursed her lips in wry little moue, to make plain to the ladybug that she was being facetious. The ladybug cleared her throat and nodded towards the stink bug with an expression of distaste. When the woman saw the stink bug she gently lowered the ladybug back onto the sill, took a pink tissue from her pocket, and smooshed the stink bug to its death. Moral: It’s an ill wind that blows an odious comparison your way. I'm a Boston-area writer, author of The Year of the Gerbil, a history of the 1978 Red Sox-Yankees pennant race, and 50 books of humor including "Scooter & Skipper Blow Things Up!" by HumorOutcasts Press. My work has appeared in The Atlantic, The Christian Science Monitor and The Boston Globe among print outlets. "Rabbit's Blues," my biography of Johnny Hodges, Duke Ellington's long-time alto sax player, will be published by Oxford University Press in September. Hey were you in my house?